Monday – 28th July 1540: Thomas Cromwell is executed for treason at the Tower of London, at the behest of Henry VIII. Tuesday – 29th July 1981: Prince Charles marries Lady Diana Spencer at St Paul’s Cathedral. Wednesday – 30th July 1966: England defeat West Germany in the FIFA World Cup Final at Wembley Stadium, claiming the Jules Rimet Trophy (and, of course, the status of Football World Champions for the next four years). Thursday – 31st July 1962: Violence erupts at a rally of the Union Movement (formerly known as the British Union of Fascists) in Dalston, East London. Sir Oswald Mosely, leader of the movement, is knocked to the ground and forced to abandon the rally. Friday – 1st August 2003: The Hutton Inquiry, set up to “urgently conduct an investigation into the circumstances surrounding the death of Dr David Kelly”, begins at the Royal Courts of Justice. The inquiry runs until January 2004 – the published report clearing the British government of wrongdoing, amid widespread claims of “establishment whitewash”. Scotland Yard, the headquarters of the Metropolitan Police, was named after Great Scotland Yard – a road off Whitehall that originally housed the police headquarters when they were founded in 1829. 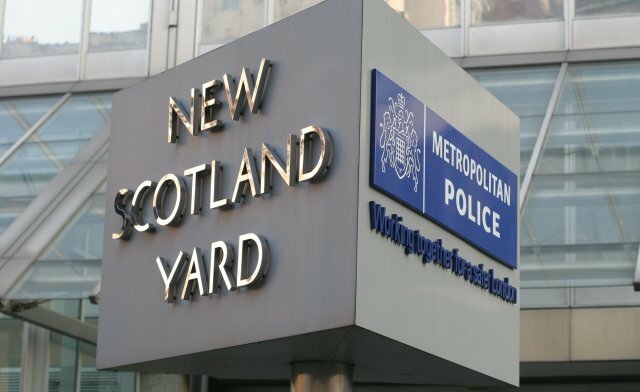 Despite the headquarters being moved to Victoria Embankment in 1890, and then to Victoria Street in Westminster in 1967, they are still known as ‘New Scotland Yard’. We hope you’ve enjoyed the last few days’ sunshine. The good news is that there is likely to be more sunshine this week. The bad news is that it will probably be punctuated with rainy periods. It will remain quite warm, though. Picture taken from cackhanded’s Flickr photostream under the Creative Commons Attribution-Non-Commercial 2.0 licence.